Nobody Cares | Hey Chelito! Posted on October 31, 2017 By Erik @ Hey Chelito! I sat staring out the window of the Toyota microbus. For the first time I felt like this was truly home. I have been in León, Nicaragua for the better part of a year, leaving a few times to renew my visa. I had gone stateside twice and Costa Rica once. I never felt like I was leaving before. I knew I would be right back. This time was different, even though I knew I would be back in a couple of weeks. This time was different because this was going to be my last trip back to the States for a while. I was headed back to reunite with the wife. I was headed back to get our dog. She has been confused the last year. She had been bouncing back and forth between our house and my parents’ house, awaiting her final fate. I was headed back to load the boxes of belongings that have been waiting their departure in the living room since the beginning of the year. Since then I have been living out of a backpack. I think she’s going to miss the winter. We had considered hiring a moving company to load and transport our belongings. It would have been much easier to greet my stuff in Managua. But after receiving three bids in the $12,000 range, I decided that that wasn’t our best option. It was significantly cheaper to fly home, rent a truck, load it ourselves, drive the truck to Miami, load it onto a container ourselves, fly back home, and fly back to Managua. We managed to do that for less than half of what the moving companies were charging. As I made my made my way out of León towards Managua, I was feeling like I was really leaving. A cloud of sadness fell over me. I had grown into a routine. I bought fruit and vegetables from my favorite vendors daily. I ate breakfast once a week at my usual spot, almost always sitting at “my table”. I had couple of local watering holes that I have grown accustomed to. I had friends and acquaintances that I saw on a regular basis. I had gotten used to my new life. I would be back in León in two weeks. I had a few things to do stateside before I returned. Until now, I still had stuff back home. I had been living abroad, but there was still a small sense of vacation-ness, in the whole situation. The house we are building is in its final stages. León is my new home. As I made my way to Managua I couldn’t help think, “Will anyone even miss me?” “Will anyone even care that I’m gone?” “Will anyone even notice my absence?” I realized that answer to all of my inner questions was a resounding NO. I had the same feeling when I was flying out the States and heading back. Save for my parents and a few close family members and friends, nobody really cares. I will see close friends and family when I make trips home or when they visit. They all say they will, but we all know that they normally don’t. I don’t even expect them to. At first, they may “miss” me, but everyone just goes on with their lives whether I am there or not. The routine of life, the kids, the dog, the job, and everything else keeps people occupied. When I got back to León, it was the same. I went back to buying my fruits and vegetables from the same stalls. I headed back for a beer to a couple of my regular spots. I just picked up where I left off. I’m not sure anyone even thought twice about where I had been for two weeks, even after seeing me daily for they better part of a year. No “Hey where have been?” “I haven’t seen you in a while.” Nothing. At the end of it all, nobody misses you. Nobody cares. It’s sad, but unfortunately it is a reality. We always expect to do this or to do that, but all too often, life just gets in the way of our plans. Thank you for reading. 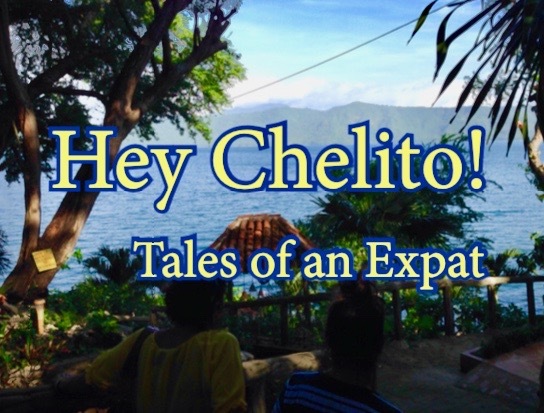 Pingback: Why I Didn’t Choose to Use an International Moving Company | Hey Chelito!